The best way to get customers to rally around your business is to prove that you are a member of the local communities by helping support individuals and families in those areas. That’s exactly what Arlington Toyota does. We don’t just provide an inventory of new Toyota models St. Augustine and Jacksonville drivers drool over — we get out into the world through community involvement that doesn’t only show we care, but personally helps those in our area. After all, we’ve been in the Jax & Orange Park neighborhoods for more than three decades, which proves we can make a lasting and valuable impression on those in our communities. We support plenty of organizations and get involved in face-to-face events and fundraisers so that those in our community, whether low-income, disabled, veteran, any anyone else, can have the resources and support they need. Read below to learn about two recent events we were a part of in our local North Florida communities. Bold City Best is Jacksonville.com’s annual reader poll of the best people, places and things in Jacksonville, Florida. Arlington Toyota was honored to be a top 3 finalist for Bold City Best’s Best New Car Dealership 2018 category. Our staff wanted to take a moment to thank all of the customers who voted for us this year! Arlington Toyota is excited to deliver quality, service, dependability and excellent pricing to our customers on the first coast for many years to come. 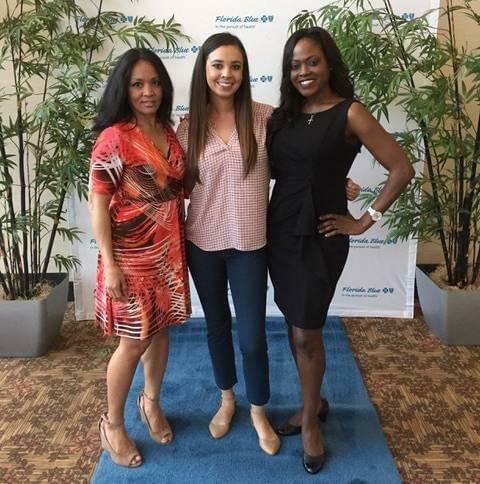 Arlington Toyota sponsored the inaugural Women with Heart Luncheon, which honored 12 women for their ferociousness in leadership, advocacy, philanthropy, and personal commitment to improving lives throughout North Florida. The event was hosted by Volunteers in Medicine Jacksonville, a nonprofit organization with a mission to provide free outpatient medical services to working, low-income, and uninsured individuals and families. As a sponsor of this event, we fully back the volunteers in Medicine Jacksonville as well as those individuals and families whose lives they change daily. 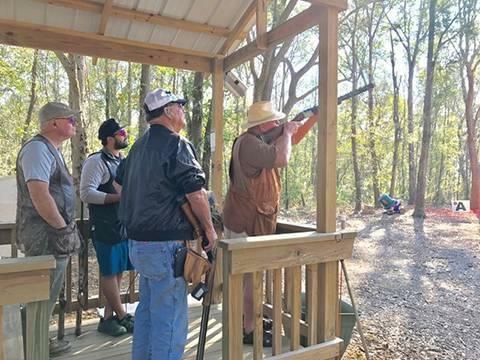 Arlington Toyota is a proud supporter of the Angelwood organization, and the Angelwood Sporting Clay shoot is one of the many events this organization offers to help raise funds and support around a great cause. During the event, 30 individuals participated in the “camo best’ competition. The Angelwood mission is to improve the quality of life in children and adults with developmental disabilities, and Arlington Toyota is proud to be a part of it and show support however we can. 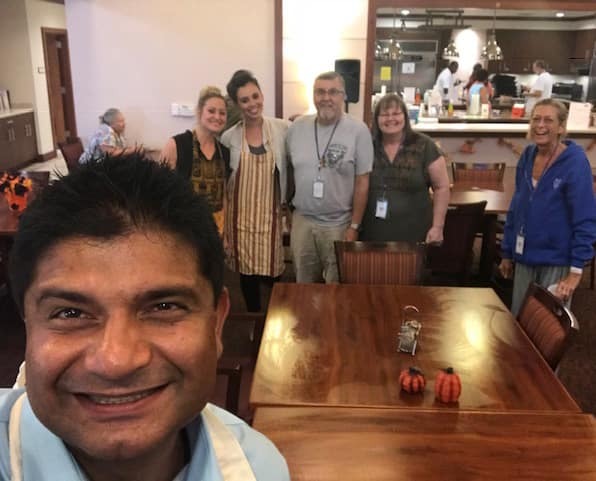 Arlington Toyota recently provided dinner for the guests and staff of the Gabriel House of Care. The Gabriel House hosts adult organ transplant and cancer patients and their caregivers who visit Jacksonville seeking medical treatment. 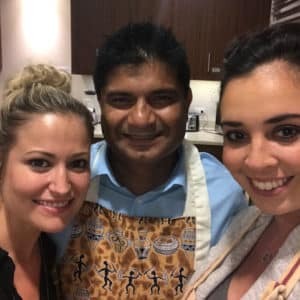 They have implemented a Community of Healing with supportive programs to ensure each guest is in good spirits and a supportive environment while they receive treatment. 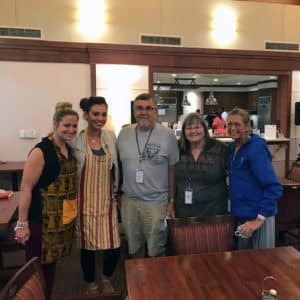 Arlington Toyota was thrilled at the opportunity to take the stress of dinnertime off their plate for the evening so both patients and staff could focus on the Community of Care. Arlington Toyota is dedicated to providing community involvement efforts that make a difference. From families in Jacksonville to individuals in St. Augustine, we provide help and support where it’s needed, and we rely on our dedicated and caring staff as well. If you want to learn more about our community involvement efforts, we’ll be happy to provide more information. Visit our dealership today at 10939 Atlantic Blvd in Jacksonville, FL to see us in person or check out our new and pre-owned inventory. In addition, you can also give us a call at (904) 201-4060 or contact us online. From community involvement to helping you find your next vehicle, we’re a one-stop shop for all your needs.